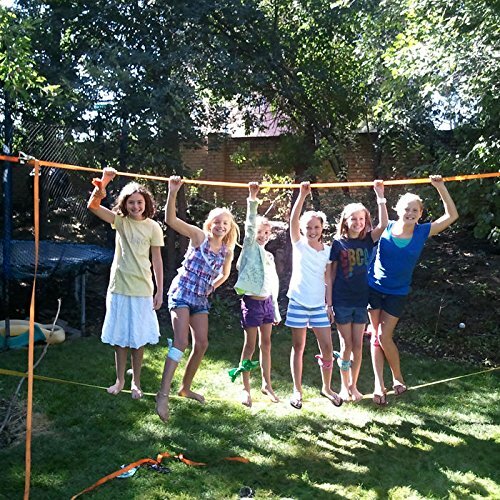 Turn your backyard into an extreme adventure park with Slackers Slackline! Fun for ages 5 and up! Suggested maximum load factor: 800 lbs.